A busy moment at Harlech on 20 October 2014. 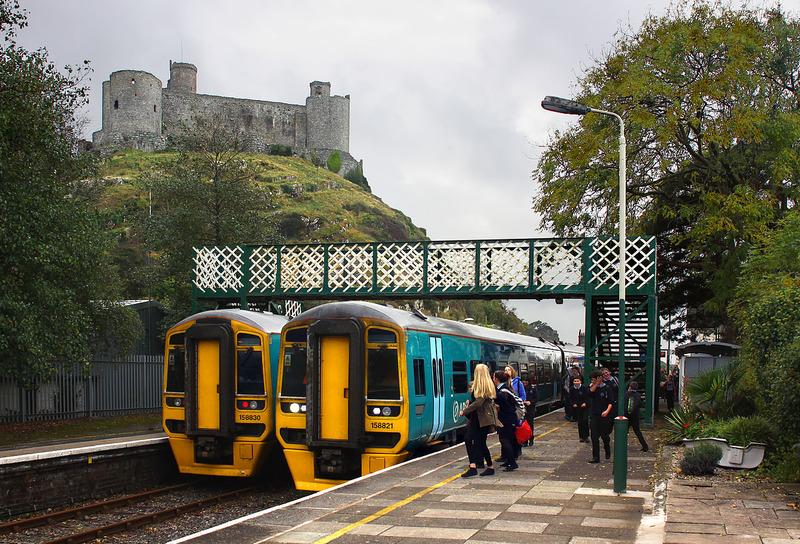 Underneath the shadow of the 13th century Harlech Castle, local schoolchildren prepare to board a couple of trains that are crossing in the station. In the foreground 158821 is just arriving with the 2J11 10:09 Birmingham International to Pwllheli Arriva Trains Wales service, while in the other platform 158830 waits with the 2G55 13:38 Pwllheli to Birmingham International.